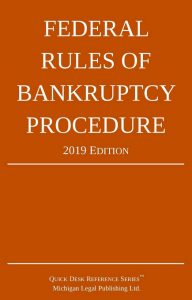 Welcome to Michigan Legal Publishing Ltd. We publish high-quality reference and practice books for a variety of legal subjects. 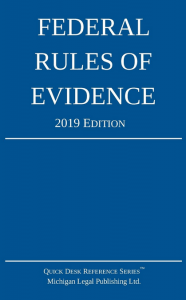 This is a handy pocket version of the Federal Rules of Evidence (5″ x 8″), as amended through January 1, 2019. 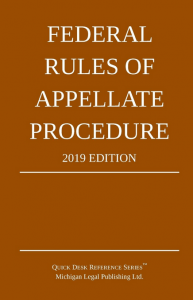 A Perfect quick reference for your desk or briefcase, for both attorneys and students. Now including internal cross references. 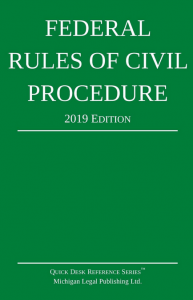 A concise and comprehensive edition of the Federal Rules of Civil Procedure and a statutory supplement for quick reference. 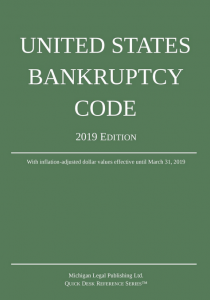 Updated through January 1, 2019. 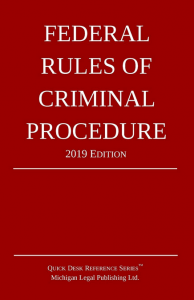 Perfect for your briefcase or desk and a great format for the attorney or law student who simply needs to refer to the rules.